We are a home removal company based in Glasgow and offer a wide range of first class removal, storage and packing services personalised to suit your needs. 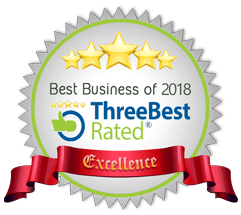 Whether you’re moving across the street or across the globe, with our vast experience and expertise we know exactly how to ensure your moving process is as straight forward as possible. Our experienced move manager would be delighted to visit your home to answer any questions you may have. He will also carry out a quick survey of the items to be moved which will enable an accurate personal quotation to be sent to you. Our friendly moving team are trained to the highest industry standards, fully uniformed, proud of their profession and take a pride in their work. 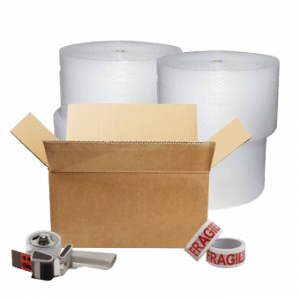 Our Quotation includes 20 boxes, tape and bubble wrap which we can deliver at a suitable time. A full range of additional packing materials can be purchased via our packing materials brochure. Moving Home Made Easy make moving home easy. From a single items to a full household - local, national or overseas - we offer a range of packages to suit individual needs. We offer a range of services tailored to every customer - from part packing of a few boxes to a full packing service using our own materials. We also supply a wide range of packing materials to enable customers to pack themselves. At Moving Home Made Easy we offer a varied range of flexible storage options depending on clients’ requirements - whether short or long term. David and his team are second to none when it comes to taking so much of the stress out of moving house, collecting and delivering items, or shipping items abroad. I’ve hired his team time and again. They are professional, organised, reliable, timely, and go the extra mile with kind gestures such as fixing bits and bobs on the furniture that were broken before they arrived. How many movers leave your furniture in better condition than it was before they arrived. Many thanks to you David! We used this company to move home recently and we can’t fault them. Their service was great from start to finish. There were some issues with our move (nothing to do with the removal company) and David, the MD worked with us to ensure the move could take place asap after we got the keys. The removal team are a credit to the company and made the move as straight forward as it could be. Not a complaint about the number of stairs they had to climb or how many times I wanted things moved to other rooms!! Happy to recommend. Moved from Cumbernauld to the south side of Glasgow. Not a single mark on any item. Very easy to deal with, nice guys and very professional service all for a reasonable price. Hopefully not moving in the near future but if I do I will be using these guys again! I recently used this company to move from Glasgow back home to N Ireland. From our initial home visit by David Reed to provide a quotation until the arrival of our furniture safely into storage in Newtownards I was impressed by the standard of service provided. 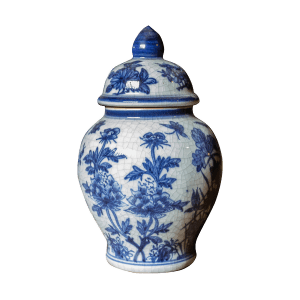 The job was keenly priced and the removal men were punctual, pleasant and efficient and were most patient when unloading into separate storage units. I have no hesitation in unreservedly recommending this company to anyone needing a home removal. Thank you David, George and Alan for all your hard work and for taking the stress out of our move. I would highly recommend this company to anyone looking to move…received a quote straight away and were always at end of phone even though I couldn’t confirm my moving date until less than a week to go. On the day they were very punctual, had the flat loaded up really quickly (even though I lived on 2nd floor!) and had it unloaded at the other end just as quick. Really pleasant friendly guys who were more than willing to help! Would def use them again! Once your booking is made you can relax in the knowledge that your own personal move manager is on hand to deal with every aspect of your move, from helpful hints and packing advice to delivering emergency rolls of bubble wrap. Moving-in is only part of the service we offer. Our FREE after care includes post-move reorganisation and positioning of furniture for a period of 7 days after your move, whether it’s moving a wardrobe into a different room or picking up unwanted packing materials once you have unpacked.